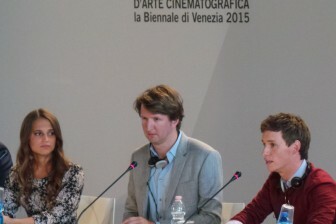 Tom Hooper: Firstly, I’m delighted and incredibly honoured to be invited to the Venice Film Festival. 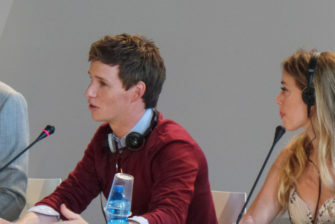 I think from the beginning – the very first conversation Eddie and I had – we talked in terms of the idea that Eddie was playing a woman that was going to be revealed. Not learning how to imitate a woman but uncovering a latent femininity, a woman inside. This guided us through the process. It’s a very profound thing, not identifying yourself with the gender you have been assigned. Fighting a voice in a time in history when there was no acceptance. Mathias, you painted for a long time, can you tell us about the healing power of art? Matthias Schoenaerts: I think, without sounding too knowledgeable, that beauty can save us and art is a search for beauty on many levels. This is one of the themes. 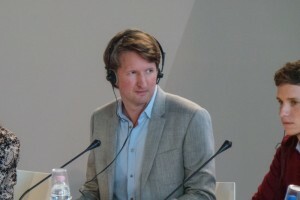 TH: The emergence of Lili became possible thanks to the space created by art. Gerda (Lili’s wife) was extraordinary for challenging gender issues refusal in the 20s. 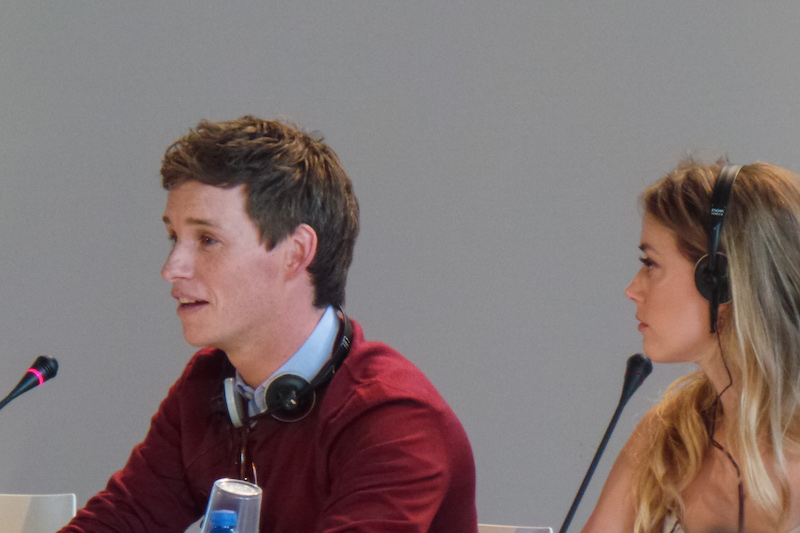 It didn’t stop her expression as an artist, it actually helped her understand the femininity in Eddie. 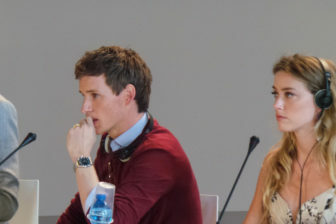 Eddie, why did you choose to be in another transformation-themed movie? What is left in you of Lili? 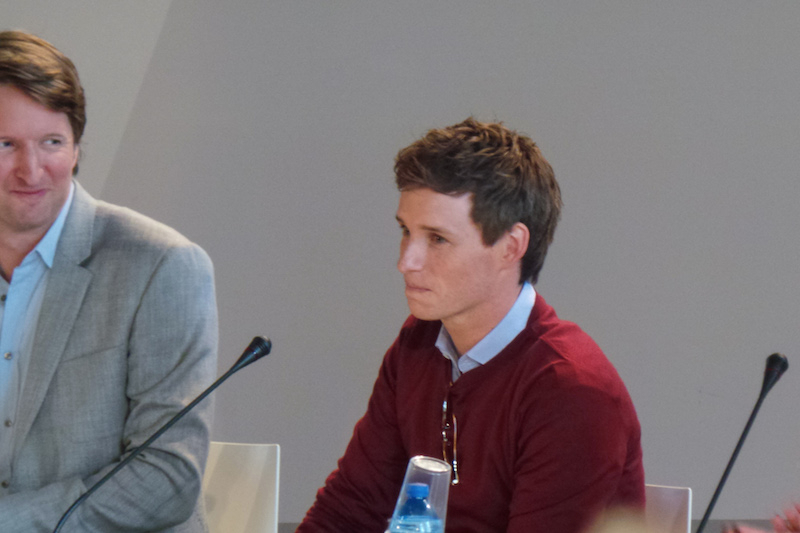 Eddie Redmayne: What’s interesting about this project for me was that when Tom gave me the script during Les Miserables, I read it but didn’t say anything about it; it was probably the best one I’ve ever read. A unique, hugely passionate love story. This person being brave enough to fight, live a life authentic. Producers worked on this movie for many years, they passed it through different directors. Tom and I talked about it for years. We were making it while I was promoting The Theory of Everything. It’s not about wanting to transform, it’s about playing incredible people, if you’re lucky enough to do that, that’s great. What I took away was the most brilliant education on many things. I’ve met many people in the trans community during the past four years. This icon of theirs was formidably generous. I have to thank her for portraying Lili. TH: Ours is a deeply divided world: the refugee crisis reaching us at the moment, it’s an appeal to our hearts. Just like the persecution of the trans community. I hope the film shows that the only way to make inclusion possible is compassion and love. It’s unconditional, compassionate and sincere love that make acceptance possible. 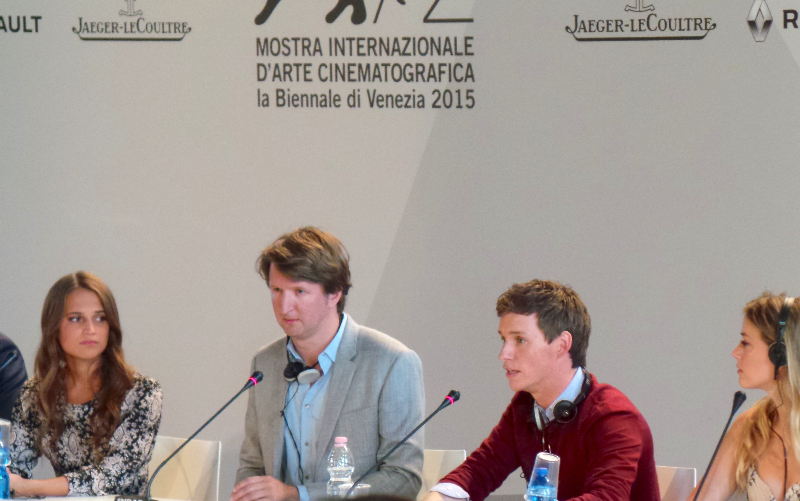 Alicia Vikander: I was in love with the fact it’s a love story between two people. A story about how to love and how to love yourself. An ahead-of-her-time working woman, an artist, foreseeing things in her art before others did. I myself was so impressed by those two roles. Gerda is a woman able to love someone, something else more than herself. I admire her, I wish that I had a bit of her myself somewhere. Is intervening on a working body organ a crime? TH: This is a question of dualism: if you are not a man you need to become a woman. We’ve evolved beyond binary. It’s a spectrum, a complex place where people may want to sit. Society needs to be supportive about wherever on the spectrum people want to be. A surgeon may help, but maybe he hasn’t realised he is stuck a in a dualistic way of thinking. 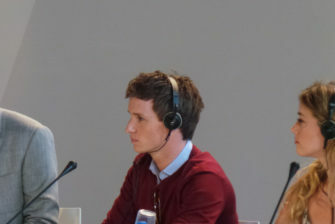 Why did you cast Eddie rather than a trans actor? TH: Access to actors and parts is difficult, industry should embrace it. We celebrate the courage of trans filmmakers. 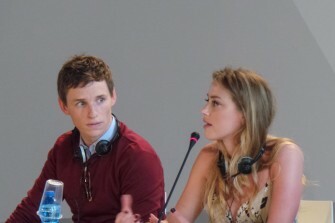 We reached their acting community in London, Brussels and Copenhagen. We had 40/50 trans supporting artists in the various cities. I’m sure there’s more to do. 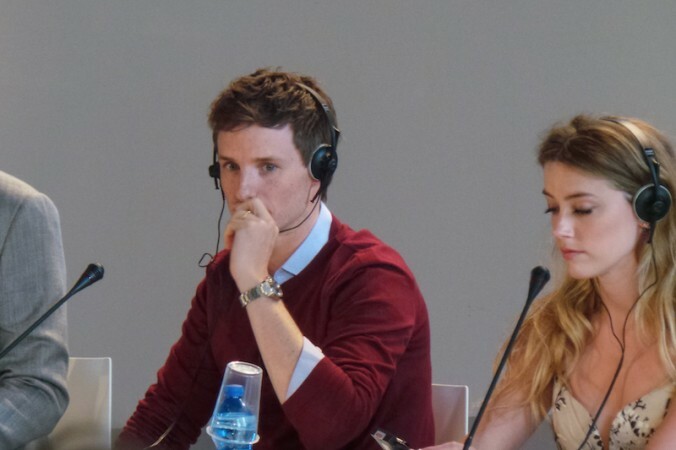 About Eddie, I shouldn’t say it now that he is sitting next to me, I think there’s something in him drawn to the feminine, he’s done it in the past, so I thought it was interesting to explore that. In two thirds of the movie he is presented as a man so I had to consider that too in coming to a decision. Mainly he was my instinctive choice, when I first proposed it in 2008 he wasn’t considered as an easy decision to finance the film. Amber, what sort of experience and emotions did you have, reading the script and engaging with the characters? 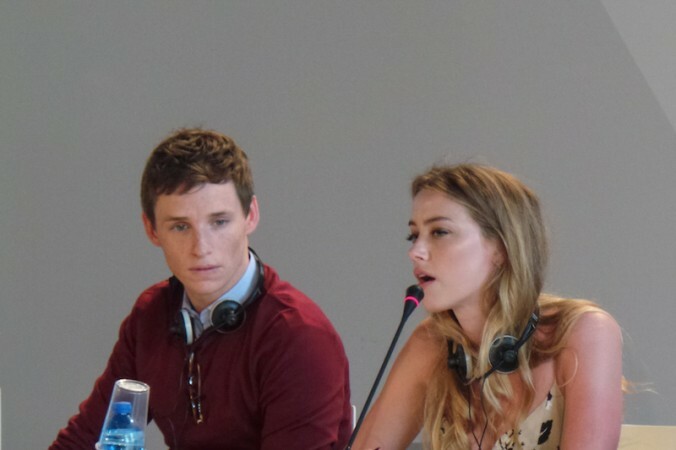 Amber Heard: this was an incredible opportunity for me, not only for the filmmakers involved (Tom, Eddie..). I’ve been given such a gift, but apart from that, the script and the subject matter are so important for me as a person and as an actor. All of these things come into this project for me. I feel incredibly honoured and lucky to be sitting here and talking about it today. MS: Einer/Lili discovers she’s truly someone else. It’s about being unconditional and not judging. 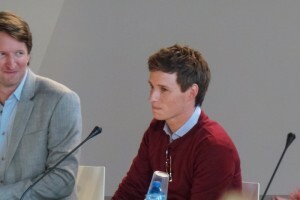 (Between my character and Eddie’s) basically it all comes back to true friendship. There’s no hidden agenda, like helping to get closer to Gerda, it’s more complex, that would be a first-degree observation. The true theme of this film is love, and I think he helps Einer because he truly loves him in a very profound way. That doesn’t exclude the fact he can fall in love with his wife. It’s complex and it makes it hard for him. Einer sees that happening and in his way he is very generous with Hans and Gerda. He allows them to get close to one another. They all allow each other to discover what they need. ER: There were no precursors at that time. (During filming) the generosity of people was amazing. (I met with) a couple in Los Angeles, they were together when she was a man and afterwards. They told me: please ask anything. Their kindness and support galvanised me in it. She would give everything and anything to live a life authentic. In relation to the transitioning partner, the question was how deep was the partner’s pool of empathy. In that sense, I wanted to meet contemporary trans people but also from different generations. I’ve read her (Lili) diary, it’s an unreliable secondary source because it was rewritten, but I’ve also read the fictionalised book The Danish Girl and all that I could find about Lili. And I tried to find those aspects in me.